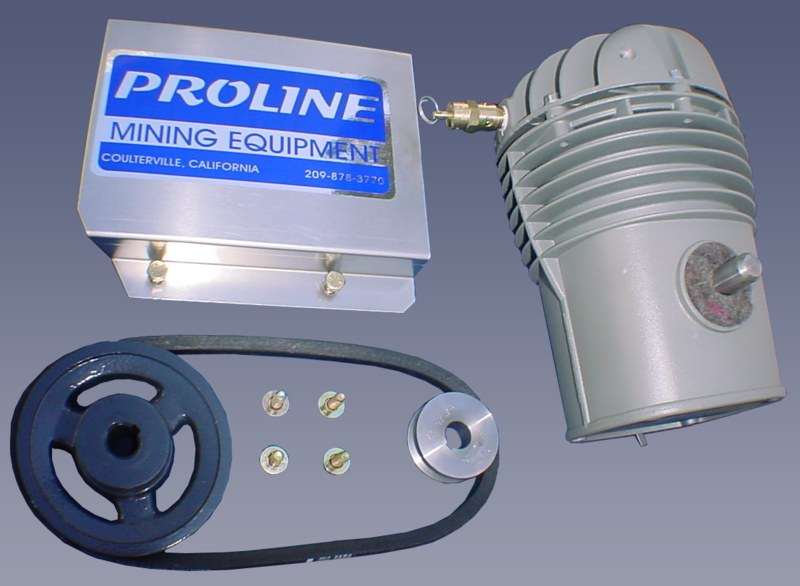 For your convenience, we carry a wide assortment of Parts & Accessories for your Proline products. We are committed to making your online experience enjoyable and it's our job to make sure you find what you are looking for fast. We back this commitment by offering our help via e-mail or phone whenever you need it! So, if you don't see it, please ask! Select from the categories to your left to narrow your selection in this large section. We manufacture one of the most comprehensive series of pumps in the small dredge industry today. These are high performance centrifugal pumps designed specifically for operating our dredges and dual-purpose machines. First, they are cast in the US from high quality aluminum then heat treated to a "T-6" hardness for years of service. Each part is then machined on computer controlled equipment to maintain the exact tolerances required for optimum performance. 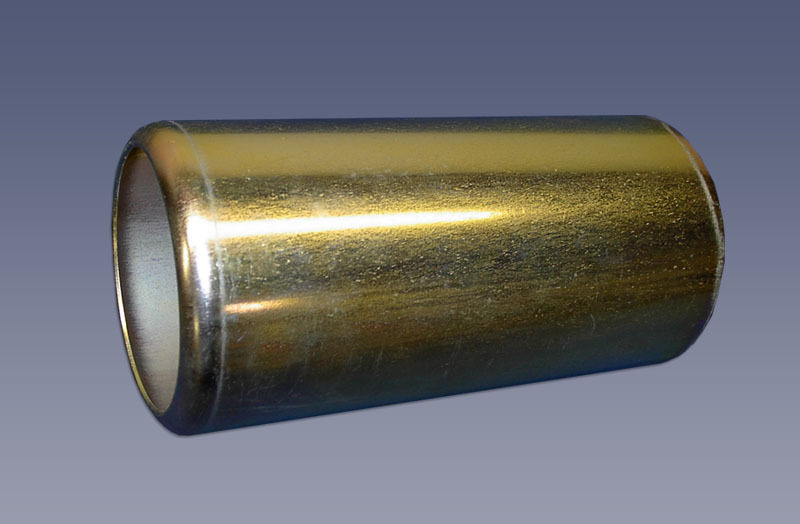 Our pumps are 5-vane and 6-vane "aggressive bite" impellers with large intake throats to provide high volume with working pressure greater than normally found on pumps of this type. They are hand-assembled using US made seals and grade 8 hardware. The quality and performance of these units, when coupled with our efficient jetting systems, offers outstanding dredge vacuum, very little required service, and long life. 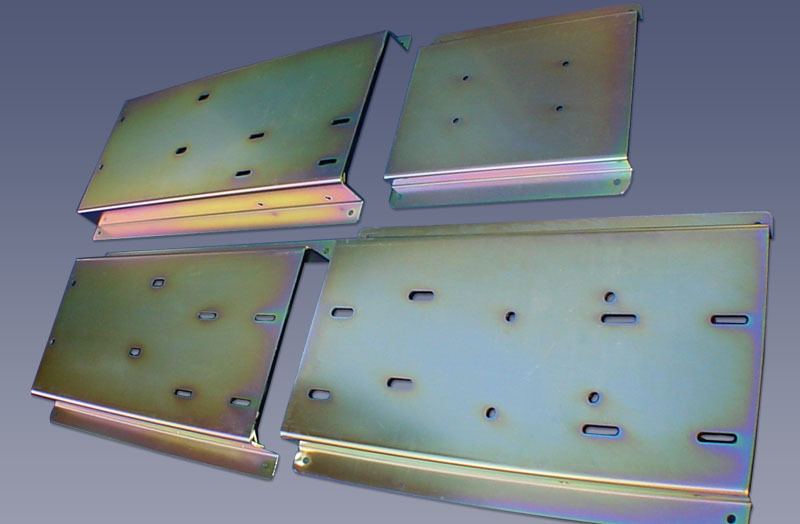 Our plates are designed for mounting engines and pumps, with or without, air compressors, to our dredges. They can also be used as a sturdy base for setting the pump on the side of the streambed. PCA10 oilless air compressors are built to withstand the most rugged operating conditions with corrosion-resistant materials used for critical internal parts. 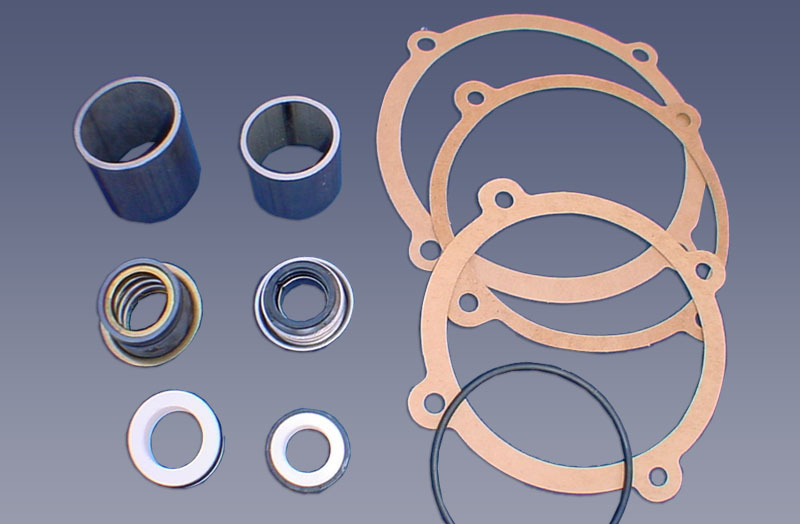 Ring design provides consistent flows throughout the service life of the unit. 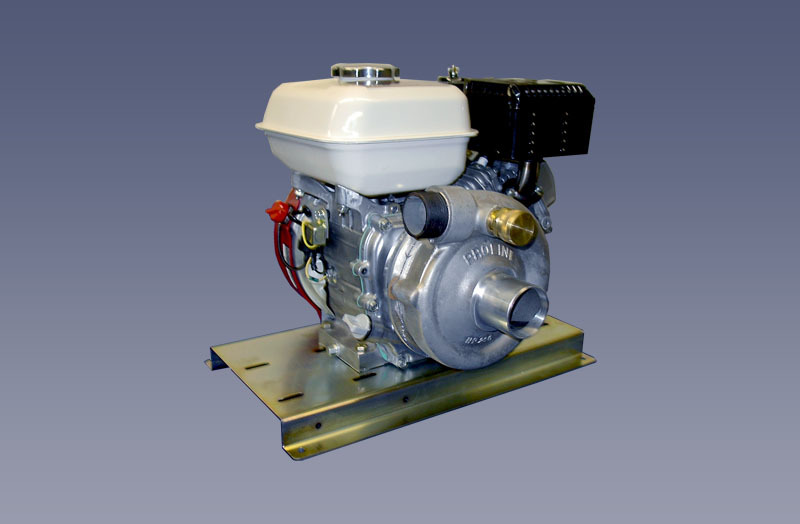 The T-80 is a medium-duty oilless diaphragm compressor with pressure relief valve. It connects easily to dredge motor to supply hookah breathing system.. The T80 compressors are recommended for shallow diving conditions including dredging. Factory recommended RPM is 1800 5/8" keyway shaft. Produces 1.8 CFM at 45 PSI. 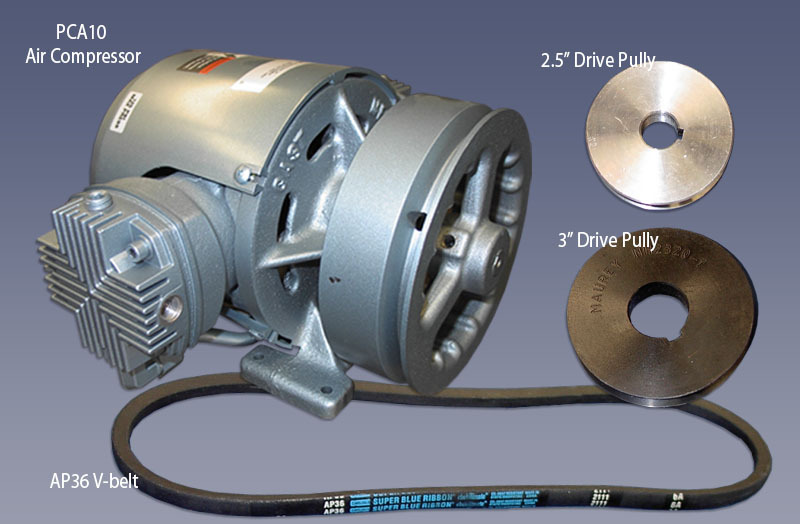 Pulley is not included but offered separately below. Every dredger knows it’s wise to have an extra seal and gasket. 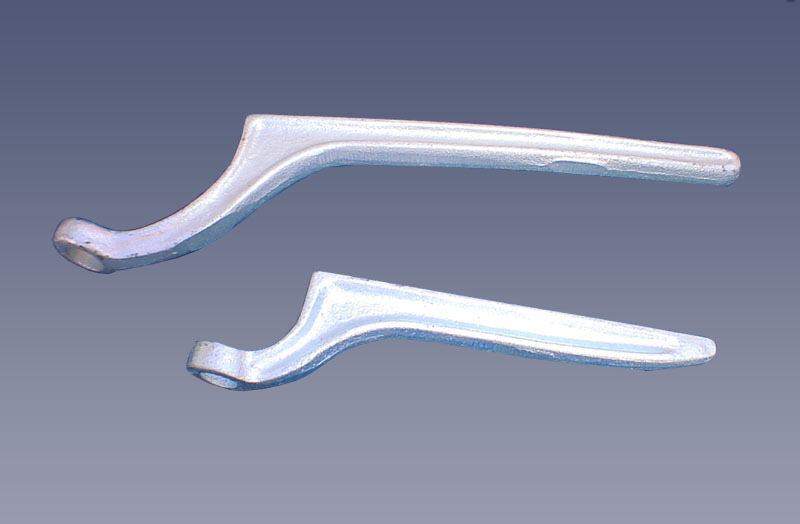 These parts, if need be, can be installed in the field with simple hand tools. 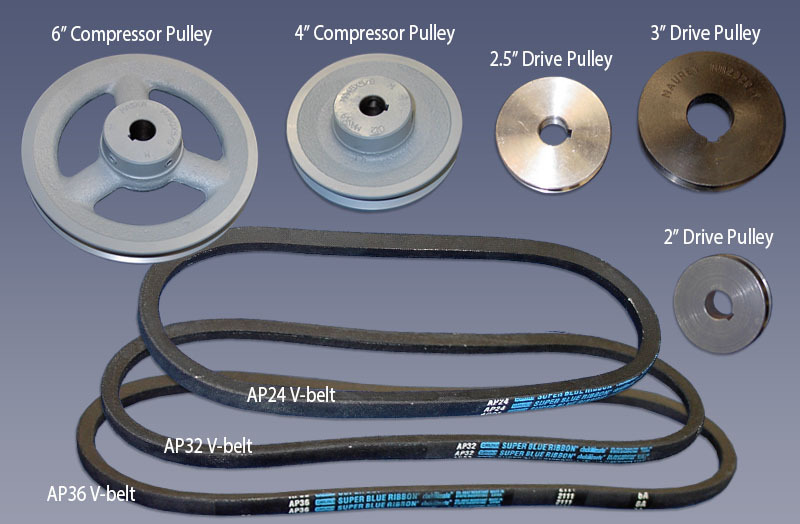 Our replacement belts and pulleys keep your compressor in perfect form. Our foot valves are made of steel and aluminum and are designed to provide years of trouble-free service. Their low restriction design is ideal for maintaining maximum pump performance. 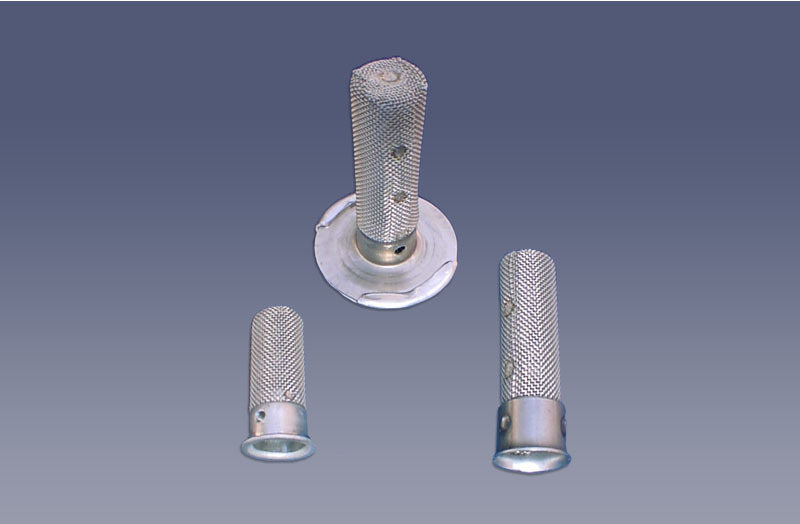 Unlike plastic foot valves, they do not float to the surface. Best of all, they can be easily disassembled and rebuilt if necessary. 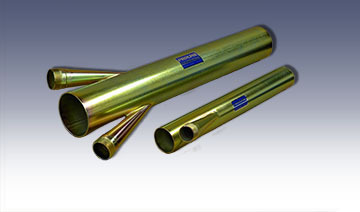 Our tips are made of high carbon steel and feature a reduced inlet to limit the size of rock passing through the dredge hose. Our new line of suction nozzles set the standard for efficiency and durability. We start wih thicker tubing, mandrel-bent to minimize distortion. Rather than swedging the inlets of the nozzles to control rock size, we equip them with hardened steel wear rings, just like our swivel tips. Our unique, machined steel venturi orifice provides better vacuum and greater lifting capability. Every nozzle is tig welded in a fixture for strength and accuracy. The very best you can buy. 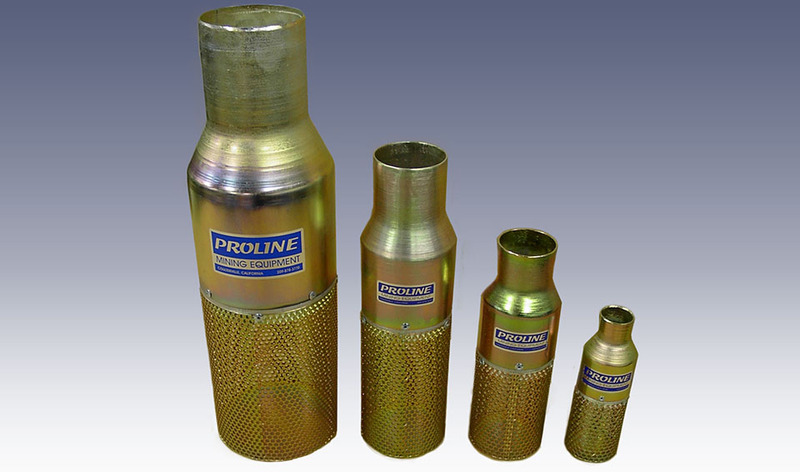 Proline swivel tips set the standard for design and construction. The tip smoothly rotates 360 degrees and is equipped with a large handle. Our unique swivel seal is less prone to seizing from sand than other designs. 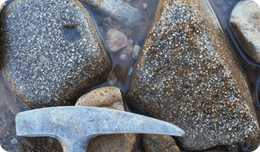 The 3” and larger tips include a high carbon steel wear ring which is spaced out from the nozzle body to increase dredge capacity and to make it easier to remove large rocks from the tip. 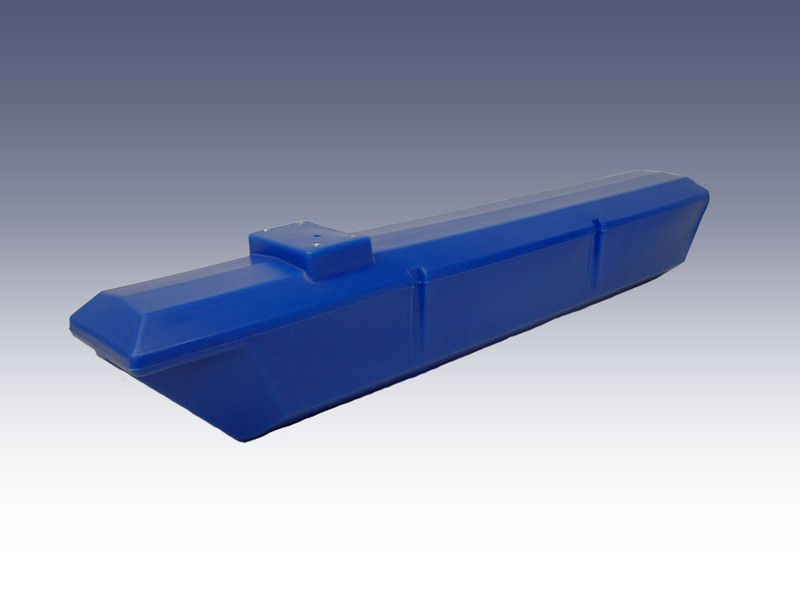 We have replacement floats available for 2” - 6" dredge sizes. 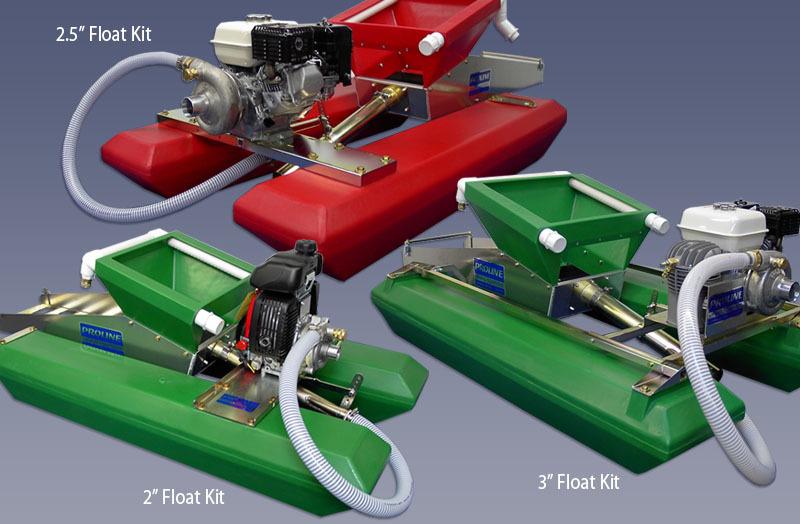 We have floatation kits available for the 2”, 2.5” and 3” dredge/highbanker combo sizes. 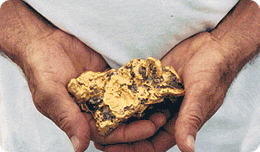 This allows the operator to work in deeper water with most of the advantages found in a conventional gold dredge. Spark arrestors play a critical role in the prevention of wildland fire and ignition of explosive atmospheres. As such, their use is required by law in many jurisdictions worldwide. 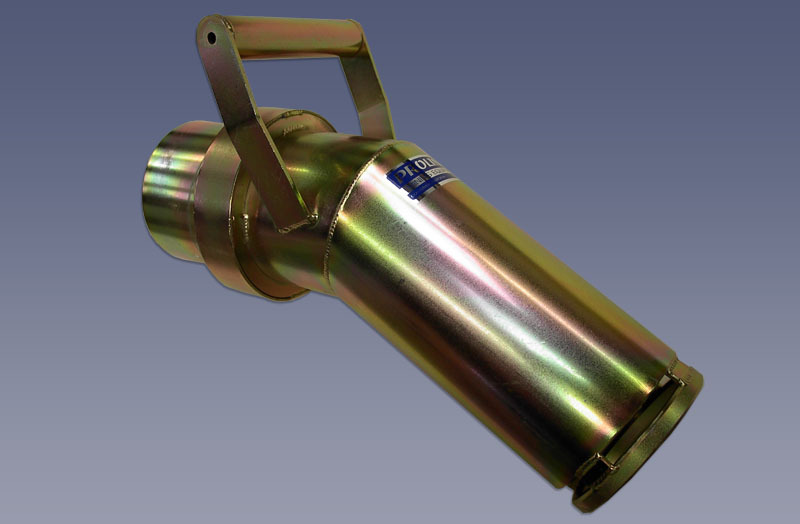 These spark arrestors are US Forestry approved and can be used with 2.5hp - 11hp Honda engines. 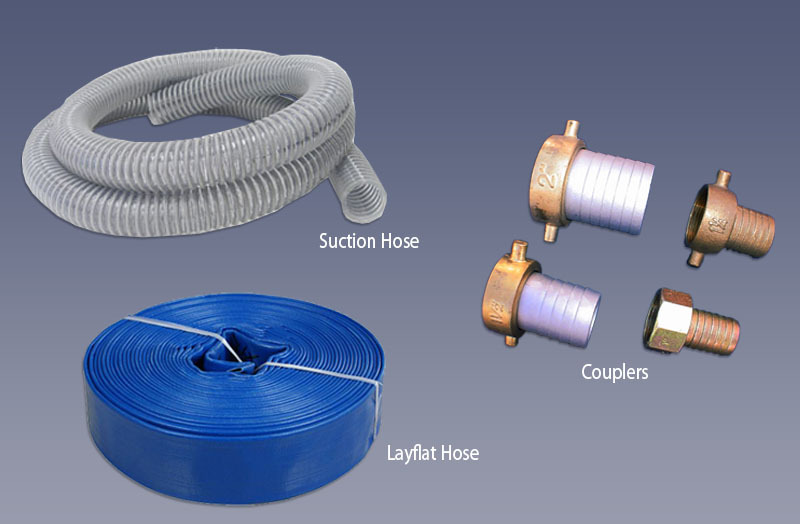 We have hoses for most any application. We stock suction hoses for dredging, pressure hoses for powering dredges, and layflat hoses for highbanking use. 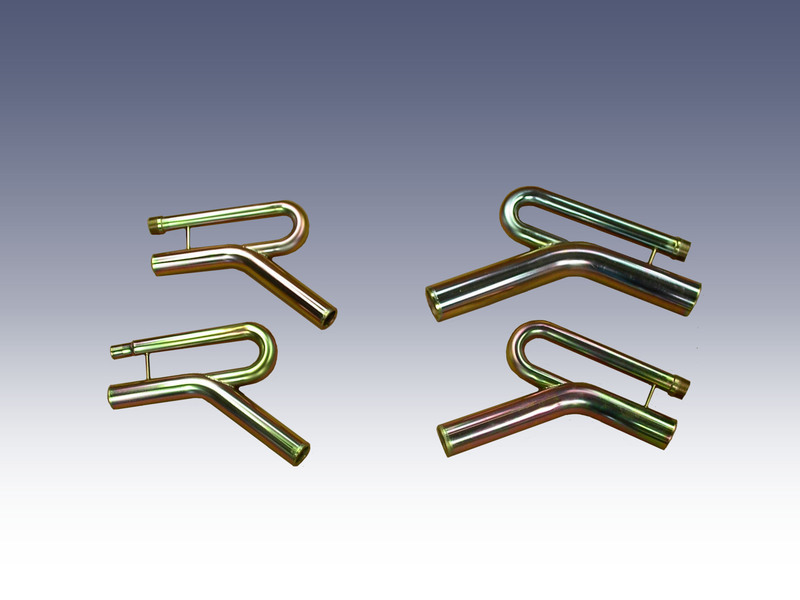 We offer many sizes and styles to choose from and maintain a good supply of various size hose clamps and couplings. Contact us if you don’t see what you need! 195 Series Suction Hose 1.25"
195 Series Suction Hose 1.5"
195 Series Suction Hose 2"
195 Series Suction Hose 2.5"
195 Series Suction Hose 3"
195 Series Suction Hose 4"
195 Series Suction Hose 5"
195 Series Suction Hose 6"
115 Series Suction Hose 1"
115 Series Suction Hose 1.25"
115 Series Suction Hose 1.5"
115 Series Suction Hose 2"
115 Series Suction Hose 2.5"
115 Series Suction Hose 3"
Tighten or loosen with confidence while using our high quality spanner wrenches. 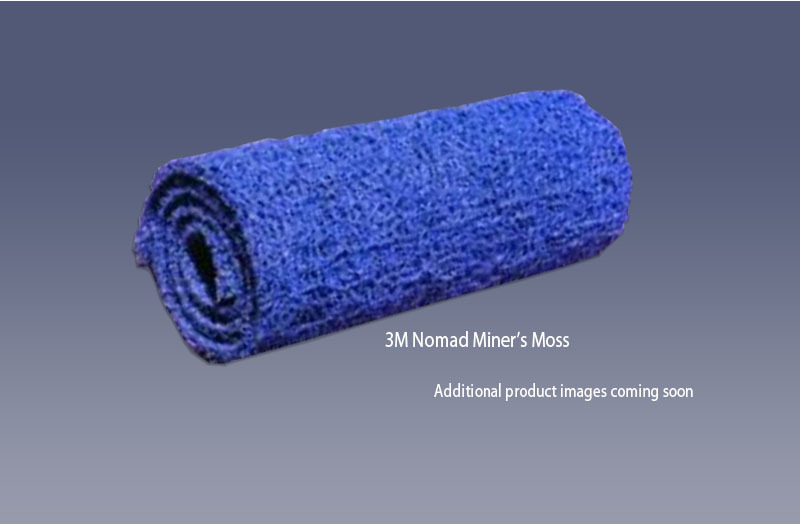 We stock ribbed carpet for sluice boxes, black “v-ribbed” matting for easy gold spotting, and 3M NOMAD matting (also called miner’s moss) for unequalled gold recovery. 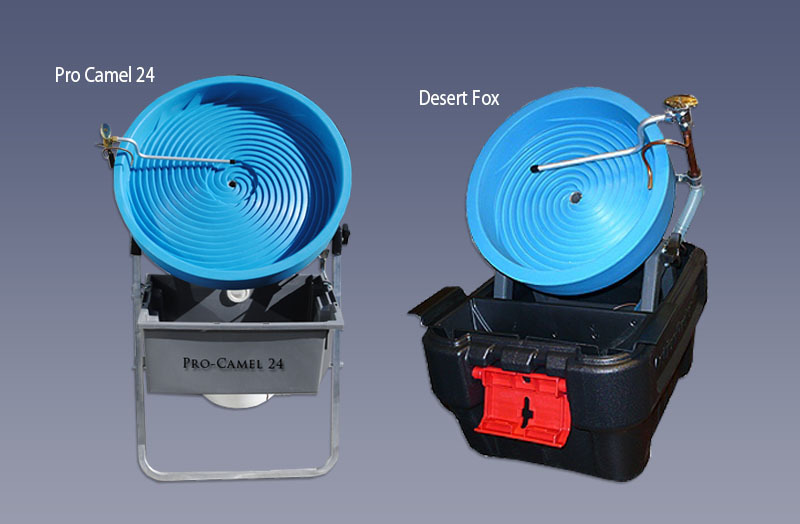 Camel Mining Products has been providing innovative tools and devices to the prospecting community since 1969. 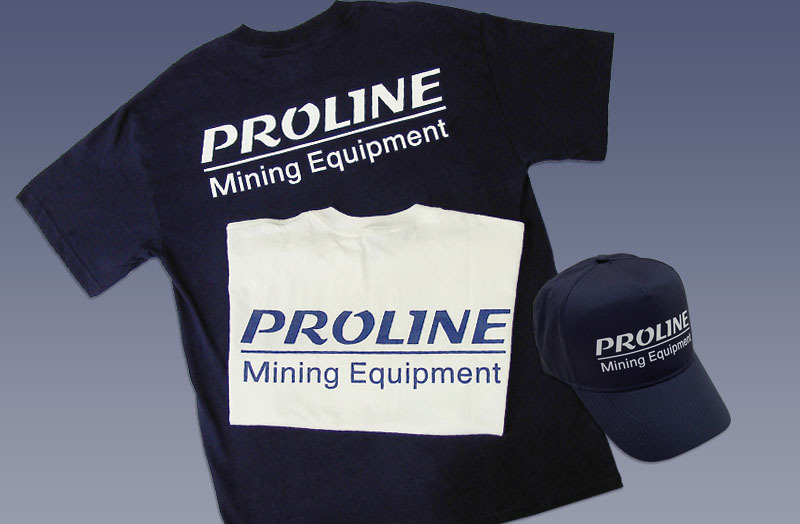 Our new t-shirts are available in your choice of white or navy blue and have the Proline logo on both sides. We offer preshrunk sizes from medium to 5XL.